The dance performance Shapes celebrates the meetings between people as unique, valuable events. The piece explores the relationship between shape and content, as a mechanism to identify patterns, find meaning and create relations. 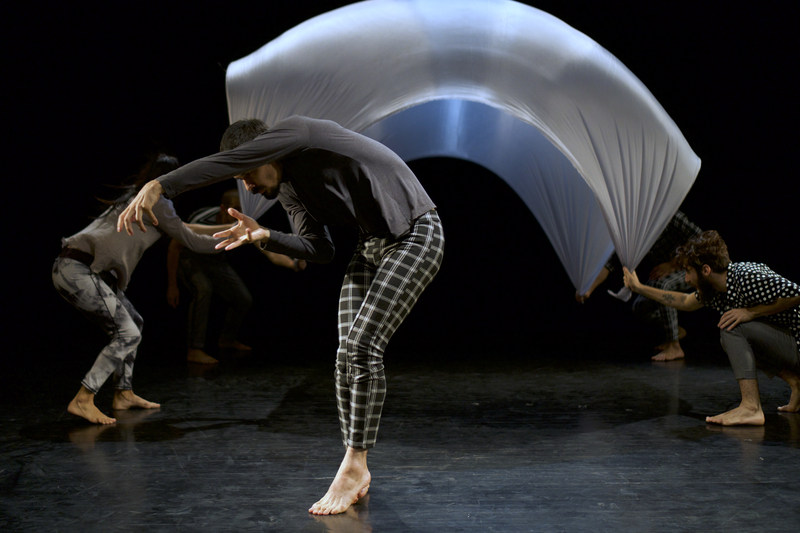 Shapes investigates the movement and its inevitable transformation to something else. We reflect on group dynamics and man’s paradoxical need for freedom but also belonging. Cause, effect, chaos and order are transformed by an insatiable desire to constantly change. A tribute to passing moments. How do we affect each other? 2019, Memory Wax’s celebrates its 15th anniversary. An important part of the company’s work is the international collaboration with the dance company Danza Teatro Retazos based in Havana, Cuba. Together, the companies have since 2012 arranged festivals in Cuba and in Sweden and 2014 they created their first co-production, the performance Possible Impossible, which went on tour with among others Dansnät Sverige. 2016, the companies created their second co-production Crisálida and now we are celebrating our anniversary with the Swedish premiere of our third co-production Shapes. With support from the Swedish Arts Council, Region Skåne and the City of Malmö.